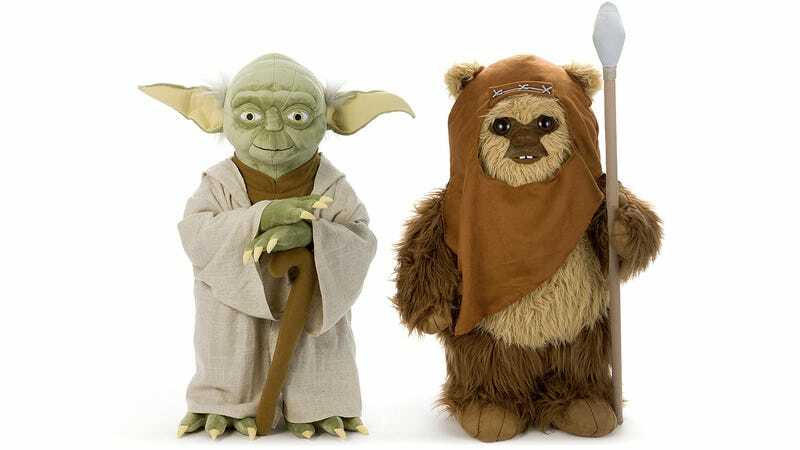 For some reason a life-sized stuffed version of Darth Vader or Obi-Wan Kenobi just doesn't seem as appealing as these life-sized plush versions of Yoda and Wicket the Ewok. But that's probably because one is an adorable Muppet, and the other looks essentially like a cuddly walking teddy bear. Both will be available from Takara Tomy at the end of April, and while Wicket stands just over 31-inches tall, Yoda is a little shorter at just 26-inches. But that's close to being accurate to the size of the characters as they appeared in the Star Wars films.